How will I receive communications in the event of a work stoppage? Please rely on the same information platforms that you would utilize in case of school closure: Geneva CUSD 304 District website, contact emails, emergency notification systems, and social media accounts. Please make sure your contact information is up to date with your child’s serving school. Will schools be open to students and staff of MVSEC programs that are housed in Geneva schools if a work stoppage occurs? Students enrolled in a MVSEC program located in a Geneva school will still attend school. This includes: Little Hands & Voices at Fabyan; New Pathways at Fabyan; ABLE at Mill Creek School; New Pathways at Geneva Middle School South, and New Pathways and ELS at Geneva High School. If your child is ill or absent during this time, families will need to follow the standard procedures for calling in an absence. Will there be transportation for my child? Will the hours of my child’s program change or alter in any way? No, all program hours will remain the same. The students in Mid-Valley programs will continue to receive related services (occupational therapy, physical therapy, speech-language services, social work, hearing services, and vision services). Standard nursing services will also be available to your child. Will there be any other staff in the buildings while my child is in school? Yes, each building will be staffed with building administrator(s), clerical staff, and support staff. Further, Mid-Valley Program Coordinators and administrators of Geneva’s Student Services Department will be available to assist students and staff. Will my child have access to lunch services? Please send your child to school with a lunch as Geneva’s lunch service will not be operating. Students who qualify for Free and Reduced Lunches will be provided a lunch through Community Unit School District 303/Mid-Valley Special Education Cooperative. Bottled water will be provided to the students. If you would like for your child to have a different beverage, please send it to school with your child. If I need to enter my child’s school, what guidelines should I follow? Fabyan Elementary: Your child will be dropped off and picked up from school in the circle drive in the front of the building. Please enter through the main doors as usual. Mill Creek School: Door 7 is accessible off Schoolhouse Lane just before Greenfields. Student drop off and pick up will occur at Door 7. Please use this door for entrance and exit to the building. There will be a staff member available to let you in to Door 7. Geneva Middle School South: Students will continue to enter and exit the building at Door 7 by the back drop off circle. If you need to pick up your child during the day, please park in the parking lot near the cafeteria and enter through the main office door. 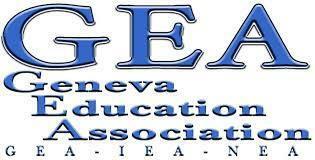 Geneva High School: Visitor entrance and exit will take place at the main entrance on McKinley Avenue. What will happen if my child has an IEP meeting during the time of the work stoppage? Since the school buildings will not be closed and staff will be present in the buildings, all Mid-Valley IEP meetings will continue as normal in their dedicated locations. Regular education teachers will not be available to participate in the meeting. If you would like to reschedule the IEP meeting to ensure that a regular education teacher is present, please contact your child’s special education teacher.